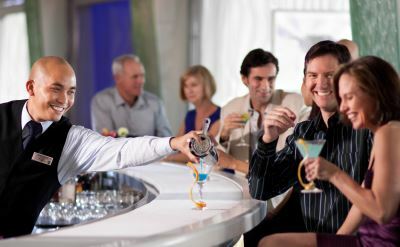 Celebrity Cruises from Fort Lauderdale have chic modern style. That design flair is what sets Celebrity apart from other cruise lines. This premium luxury brand is also known for spacious accommodations, attentive service and quality cuisine. Celebrity is for adults who appreciate high standards and good taste. The complete calendar of Celebrity cruises out of Fort Lauderdale's Port Everglades in Florida is below. Click a ship name for more information and photos. The Celebrity cruise terminal at Port Everglades in Fort Lauderdale is terminal 18. If it's not available, your ship may dock at another terminal. There are digital direction signs at the port that are updated daily to direct you to the correct place. 4-night Bahamas cruises on the Celebrity Infinity. Round-trip from Fort Lauderdale to Key West (Florida) and Nassau (Bahamas). • 2019 departures: April 18. 7-night Eastern Caribbean cruises on Celebrity Edge. Round-trip from Fort Lauderdale to San Juan (Puerto Rico), Tortola (British Virgin Islands) and St Maarten. • 2019 departures: April 7, April 21, December 1, December 15, December 29. 7-night Eastern Caribbean cruises on the Celebrity Equinox. Round-trip from Fort Lauderdale to Puerto Rico, St Thomas, Punta Cana (Dominican Republic) and Nassau (Bahamas). • 2019 departures: June 8, June 22, July 6, July 20, August 3, August 17, August 31, November 9, November 23, December 7. 7-night Eastern Caribbean Christmas cruise on Celebrity Reflection. Round-trip from Fort Lauderdale to San Juan (Puerto Rico), St Thomas and St Maarten. 7-night Eastern Caribbean Christmas cruise on Celebrity Equinox. Round-trip from Fort Lauderdale to Puerto Rico, St Thomas, Punta Cana (Dominican Republic) and Nassau (Bahamas). 7-night Western Caribbean cruises on Celebrity Edge. Round-trip from Fort Lauderdale to Key West (Florida), Costa Maya (Mexico), Cozumel (Mexico) and Grand Cayman (Cayman Islands). • 2019 departures: April 14, November 24, December 8. 7-night Western Caribbean cruises on the Celebrity Equinox. Round-trip from Fort Lauderdale to Costa Maya (Mexico), Cozumel (Mexico) and Grand Cayman (Cayman Islands). • 2019 departures: June 1, June 15, June 29, July 13, July 27, August 10, August 24, November 2, November 16, November 30, December 14. 7-night Western Caribbean Christmas cruise on Celebrity Edge. Round-trip from Fort Lauderdale to Key West (Florida), Costa Maya (Mexico), Cozumel (Mexico) and Grand Cayman (Cayman Islands). 7-night Western Caribbean cruises on Celebrity Reflection. Round-trip from Fort Lauderdale to Key West (Florida), Grand Cayman (Cayman Islands), Cozumel (Mexico) and Costa Maya (Mexico). • 2019 departures: December 27. 12-night Southern Caribbean cruises on the Celebrity Silhouette. Round-trip from Fort Lauderdale to St Croix, St Maarten, St Lucia, Grenada, Barbados, Dominica and St Kitts. • 2019 departures: December 1. 11-night Southern Caribbean cruises on the Celebrity Equinox. Round-trip from Fort Lauderdale to St Thomas, St Croix, Antigua, Barbados, St Lucia and St Maarten. • 2019 departures: September 23, October 14. 10-night Southern Caribbean cruises on the Celebrity Equinox. Round-trip from Fort Lauderdale to Grand Cayman, Aruba, Curacao, Bonaire and Key West (Florida). • 2019 departures: September 13, October 4. 9-night Southern Caribbean cruises on the Celebrity Silhouette. Round-trip from Fort Lauderdale to Aruba, Curacao, Bonaire and Grand Cayman. • 2019 departures: November 22, December 13. 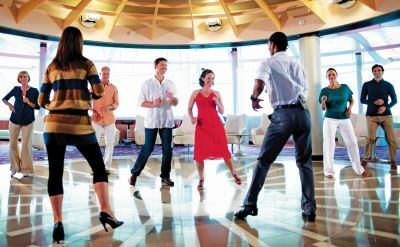 12-night Southern Caribbean Christmas cruise on the Celebrity Silhouette. Round-trip from Fort Lauderdale to St Croix, Antigua, St Lucia, Barbados, Grenada, St Vincent and St Kitts. 10-night Ultimate Caribbean cruise on the Celebrity Reflection. Round-trip from Fort Lauderdale to Antigua, Barbados, St Lucia, St Kitts and St Maarten. • 2019 departures: April 12. 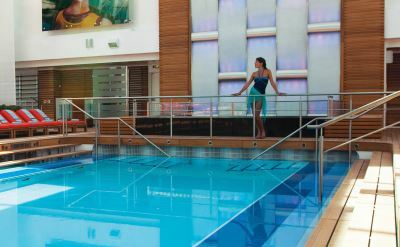 14-night Transatlantic cruise on the Celebrity Silhouette. One-way from Fort Lauderdale to Southampton (England). Visit Nassau (Bahamas), Kings Wharf (Bermuda) and Lisbon (Portugal). 14-night Transatlantic cruise on the Celebrity Reflection. One-way from Fort Lauderdale to Dublin (Ireland). Visit Ponta Delgada (Azores), Cork (Ireland) and Waterford (Ireland). 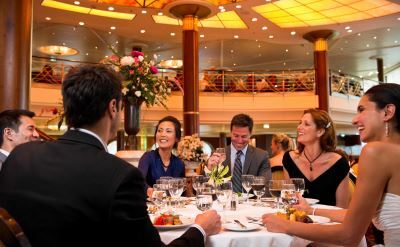 14-night Transatlantic cruise on the Celebrity Infinity. One-way from Fort Lauderdale to Barcelona (Spain). Visit Ponta Delgada (Azores), Lisbon (Portugal), Cadiz (Spain), Malaga (Spain) and Alicante (Spain). 15-night Transatlantic cruise on the Celebrity Edge. One-way from Fort Lauderdale to Southampton (England). Visit Kings Wharf (Bermuda), Ponta Delgada (Azores), Lisbon (Portugal), Bilbao (Spain) and Le Havre (France). Celebrity ships that sailed from Port Everglades in the past include the Celebrity Eclipse, Celebrity Millenium, and Celebrity Solstice.